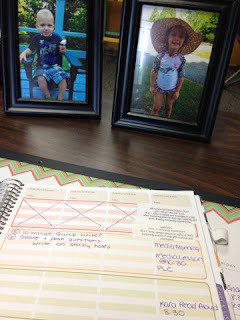 Pinkadots Elementary : Tried it Tuesday/ Planning with CCSS at your fingertips! 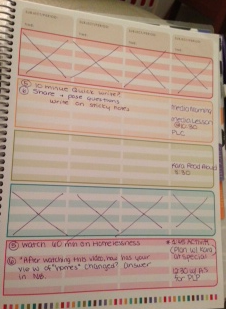 Tried it Tuesday/ Planning with CCSS at your fingertips! 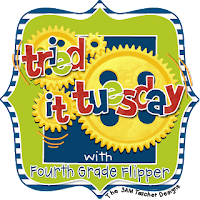 Today I am linking up with my good friend and fellow fourthie, Holly, at The Fourth Grade Flipper! While planning in my new Erin Condren planner for the first time last week, I'll admit, I was afraid to write in it, but my amazing erasable gel pens made me feel more at ease. I am lucky enough to be able to plan with a few other teachers during our lunch period at the end of the week. More minds = better ideas! I love thinking of creative and fun activities for the students to participate in, but I'll admit it, I need to get better at thinking about what standards I should be focused on meeting. 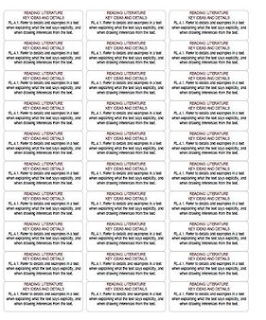 My idea was to make all of the CCSS on labels, print them, and stick them into my lesson plan book so I could easily see at a glance what standards I was meeting per week. I set up the labels and started the tedious job...realizing just for Reading, Writing, and LA, I'd need about 45 pages, then I got lazy. I checked TpT and found some awesome teacher did all the work and is selling the product for $2.00. How could I not buy it!? I plan on sticking the labels under the far right column (when I print them out). 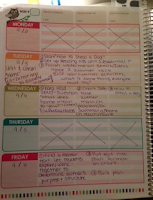 This will be helpful to me and to anyone looking at my plans. Makes sense, right? I just picked two standards for now although we are honestly covering a ton this week! This is a great idea. We have to submit our plan electronically so I ended up typing the standards in-thankfully we don't have to have the whole standard word for word in our plans. That's a great idea! For 2 bucks... I might have to go check this out. I usually have to dig through my I Can checklist and then my bucket of statements to figure out which ones I need to hang up for the week. I know they are all covered at some point but I don't always write it down -- the label ideas are genius!!! The stickers are a great idea. Have you ever tried planbookedu.com? We love it at my school. You can share your plans online, print from there, send your principal a link to review plans, and...the CCSS are all included! LOVE it! What a great idea! I would definitely try this if I wasn't using Planbook.com. For $12 a year I can write my plans online and just drop down the CCSS standards with click. 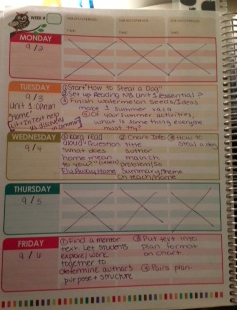 Your EC planner is awesome though. I'm definitely jealous of that. I do miss handwriting some stuff. I love anything that will make my life easier! And...I have plenty of labels! Thanks for sharing a time saving tip!